The very first Just Dance game my girls were exposed to was Just Dance Kids. Sophia received it as a birthday gift from a friend a few years ago. She had just turned 5 and was the perfect age for it. And even though the songs were really young for Bria, and probably even Chloe, they also LOVED dancing to the game. I have a couple really great videos of the three of them rocking out to songs like "The Wheels on the Bus" and "Old MacDonald had a Farm." And this one of them dancing to "Magic" by Pilot, which is my favorite because I can't get over how little and cute they are. Three years sure makes a huge difference (and not just to the kids--check out my ugly family room)! As a parent, I loved that they thought they were playing a fun video game, but they were really getting some great exercise, learning some coordination skills, and having a great time together as sisters. Triple win. The Maestro and I playing on Christmas Day 2013. We always camp out in the family room for Christmas Eve/Christmas morning, hence all the bedding behind us! Also, we were huffing and puffing by the end of just one song! So when I was asked to review Just Dance 2015, I jumped at the chance because I knew my girls would think that was the best thing ever! And I was right. When the game arrived at our house last week, I'm pretty sure people in China heard them squealing about it. They were so excited to find some of their current favorite songs on it--some of which I have never heard of before, which is why it's nice that they also have songs from my own high school days like "Don't Worry, Be Happy" and "You Spin Me Round (Like a Record)." It may not look like they're working hard, but they are totally getting sweaty. Burning up those calories and having so much fun at the same time! They have been playing every chance they can get ever since we got the game! One of our favorite features is the karaoke feature. While some people are dancing, someone else can be singing the song in the microphone (we already had a mic that hooks up to our Wii for another karaoke game). You even earn extra points for singing well--or at least for singing the right lyrics at the right time. Here we are doing "Let it Go!" from Frozen. Sophia video taped while her sisters danced and I sang. I sound super weird to myself because the mic is all echo-y, but we had a lot of fun taking turns with the mic. PS: The girls LOVE singing along but I was banned from putting up video of them singing. I guess they'd rather dance for the world instead of sing for it. Just Dance has partnered with Stomp Out Bullying to bring awareness to National Bullying Month and show that it's okay (and basically totally awesome) to dance to your own beat. Some of the fun and crazy choreography in this new version of Just Dance is intended to help kids let loose and be themselves. My girls, for three, certainly did! You know you and your family want this game, too. So much fun! My kids LOVE that game! Frozen AND Maroon 5? Yep, that just went on my daughter's Christmas list! 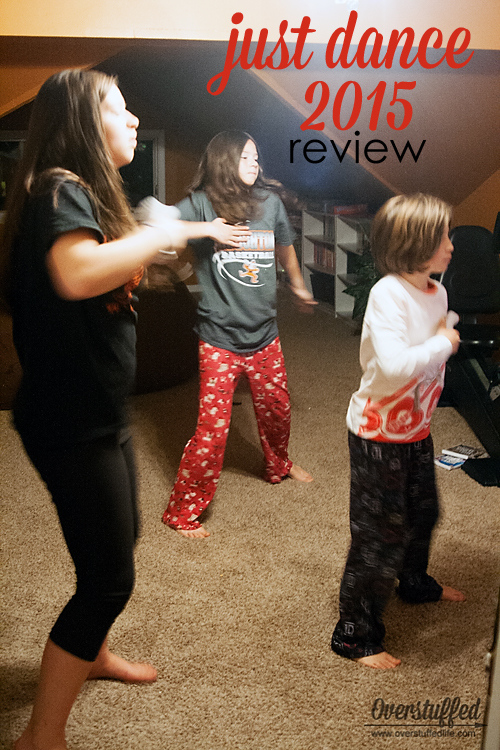 My kids really like Just Dance as well. Will have to check out this latest version! I love Just Dance!! It's such a fun way to get active. It looks like everyones having fun. :) I can't wait to try Just Dance 2015 out. I love getting you visiting teaching printables! I print them out the second you post them so my family and I can enjoy them all month, I can't wait to see what you come up with each month. Thank you for doing this! Just Dance is a favorite with our grandkids. Will have to check out this new version especially since Frozen is on it. 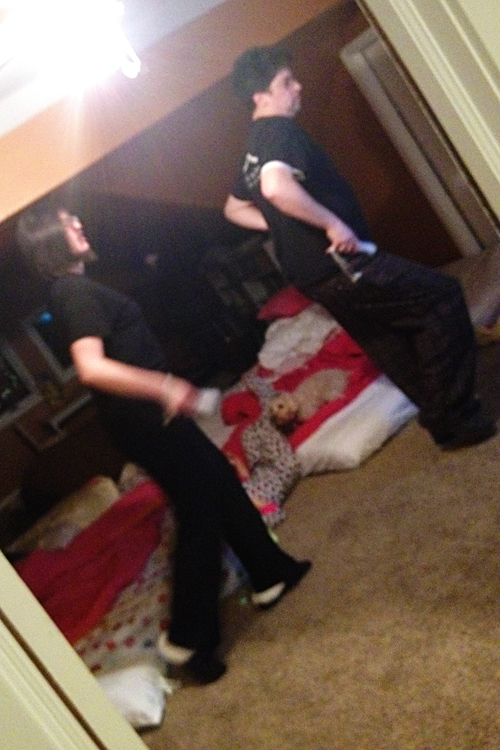 I love just dance. So much fun. I think I just got them at WalMart or ShopKo!